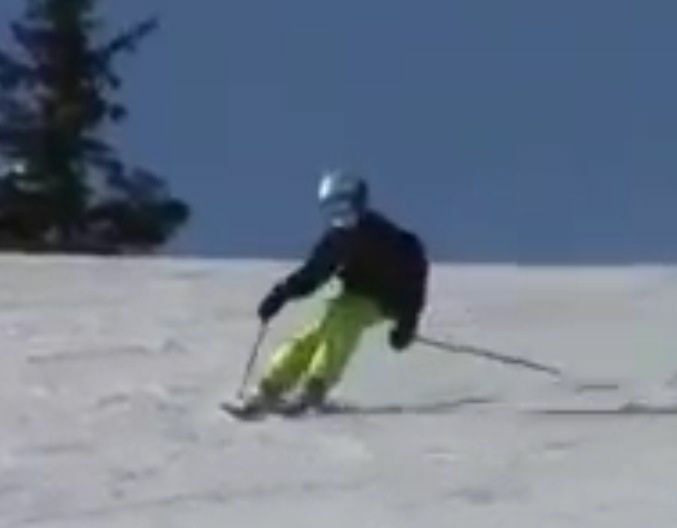 Maintaining parallel shins is important not only because it looks better than A-frame but because it implies both skis are tipped at the same angle. 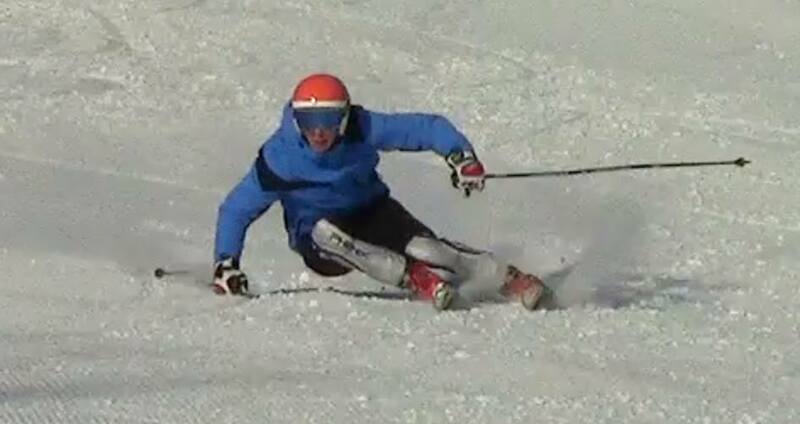 The boots here need a lot of attention, to align and allow the skier to stay in balance on the skis. 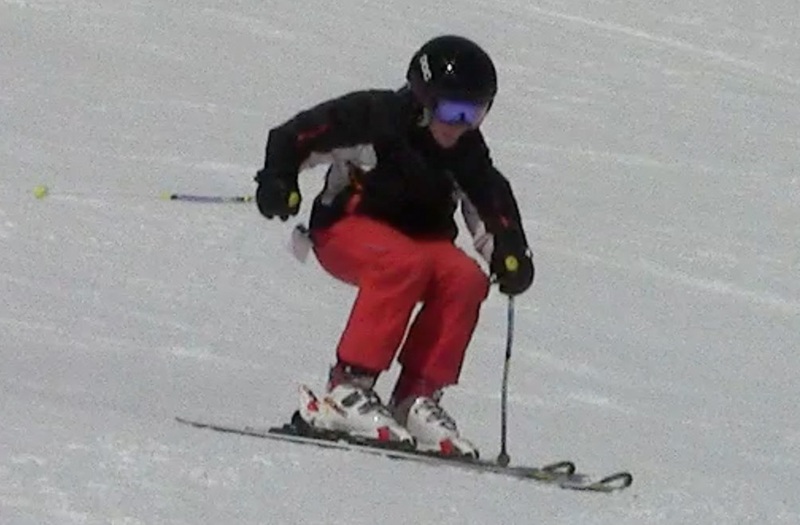 See Ski boot setup. 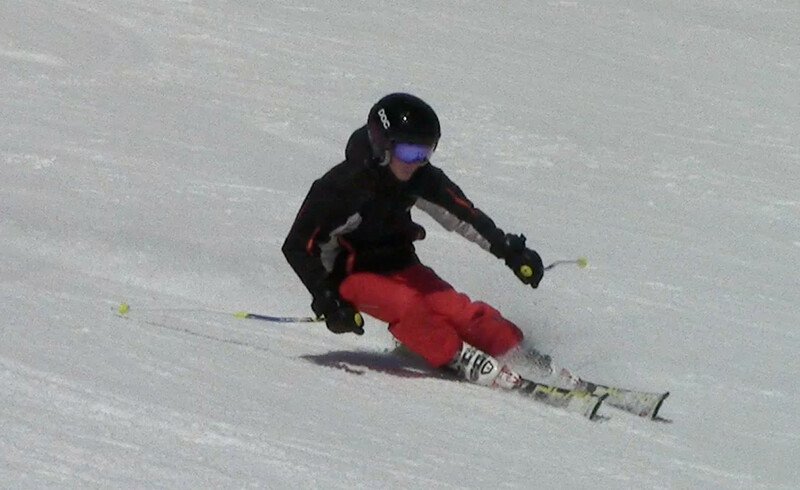 The edge angles here are created by moving the hips and the results include the inside ski not parallel with the other and riding the ski quite flat. The improvement will be to work on tipping. How do we maintain the shins parallel? By tipping both boots the same amount and at the same time. In fact, because the outside leg is often loaded (strong, weighted) and we use the bigger muscles to tip it, the inside foot requires more attention and often is considered that it must be tipped first, to ensure that they both tip the same amount. See tipping. Read the section on tipping and then do some of the drills below. 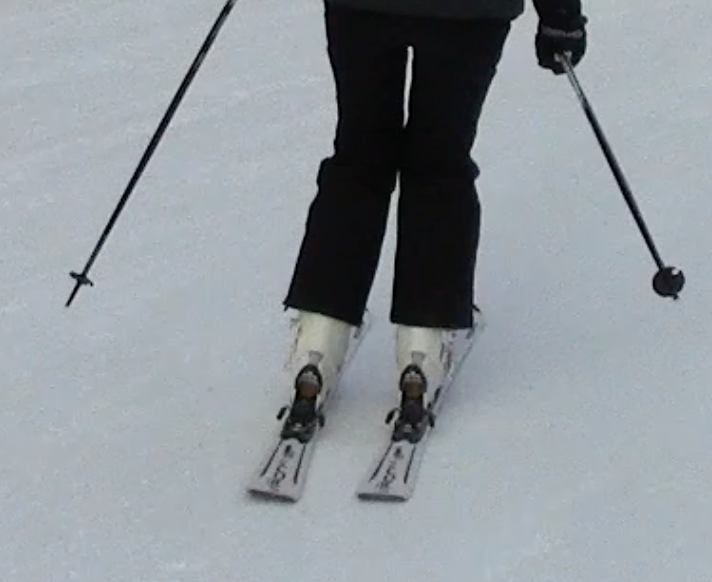 On the left, the boots are too big and not allow foot tipping and on the right, the boots are now fine but are not aligned laterally correctly - see Ski boot setup. Viewed 390 times ( | Print ) this page.